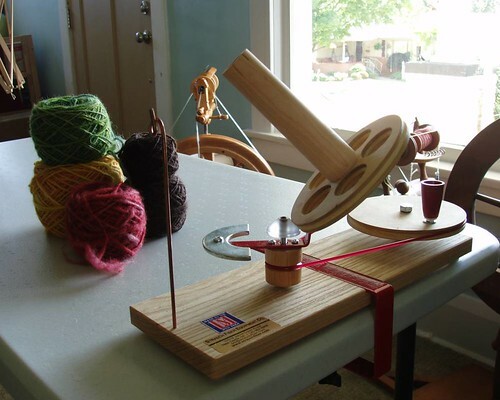 Rich bought me the Strauch Jumbo Ball Winder when we were at Woolfest. He thought I needed it. Maybe I’ll start selling my handspun balled instead of skeined. Or maybe I’ll bring the winder and a swift to shows and charge people a ballwinding fee. hahahaa! Awesome! I think I’d have to keep a ball winder like that set up all the time.